Available in sizes ranging from 24” to 144”, Mixed Pine or Oregon Fir styles, and wrapped in professional-quality mini LED lights, our pre-lit wreaths make Christmas decorating easy. 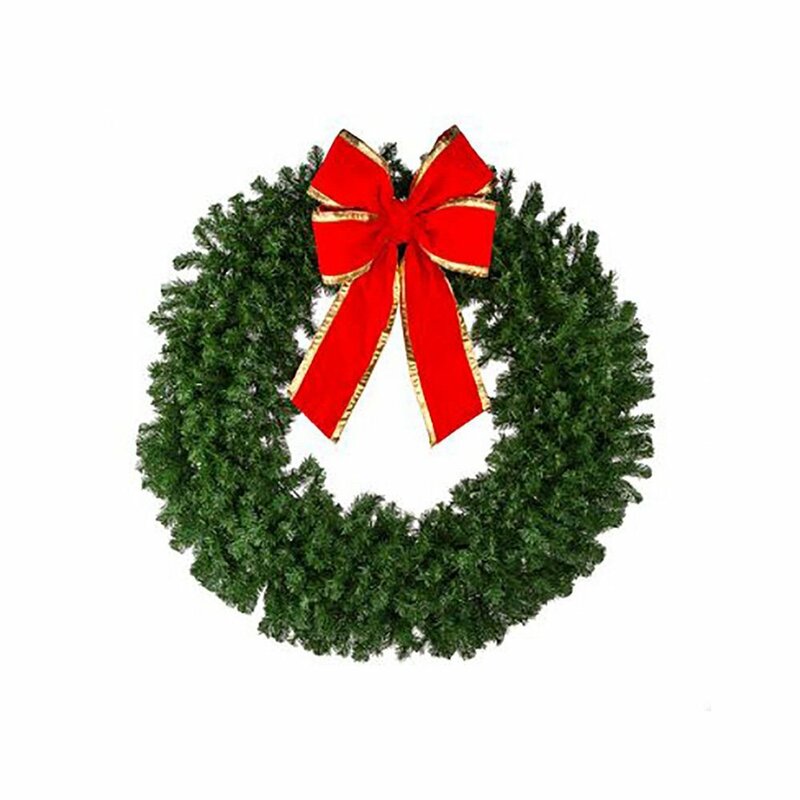 Perfect for classical, minimal holiday displays, our unlit Christmas wreaths come in Mixed Pine or Oregon Fir, in sizes ranging from 24” all the way to 144”. Our colorful, pre-lit decorated wreaths come in a range of sizes and styles, each fitted with high-quality LED mini lights. Our wide selection offers unique options for all kinds of Christmas displays. 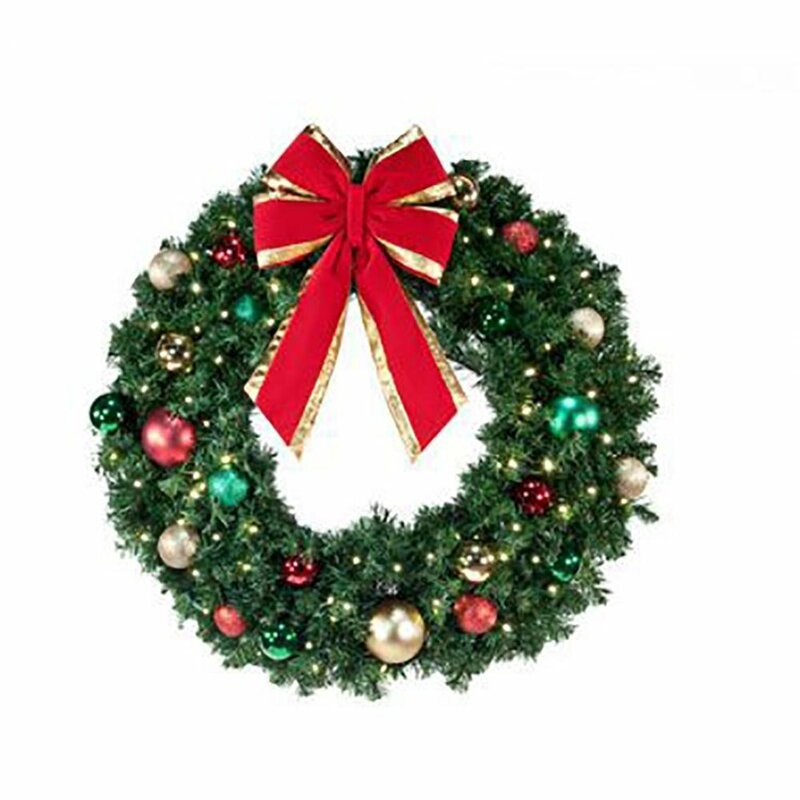 An unlit decorated wreath brings a bit of understated color to your commercial space. Here you’ll find a wide array of choices, from 24” poinsettias, to 72” wreaths draped in classic-style ornaments. Christmas wreath are a holiday decorating staple. Whether hung from your door, mantle, windows, or anywhere else, they’re an essential finishing touch that lends seasonal elegance both indoor and outdoor displays. 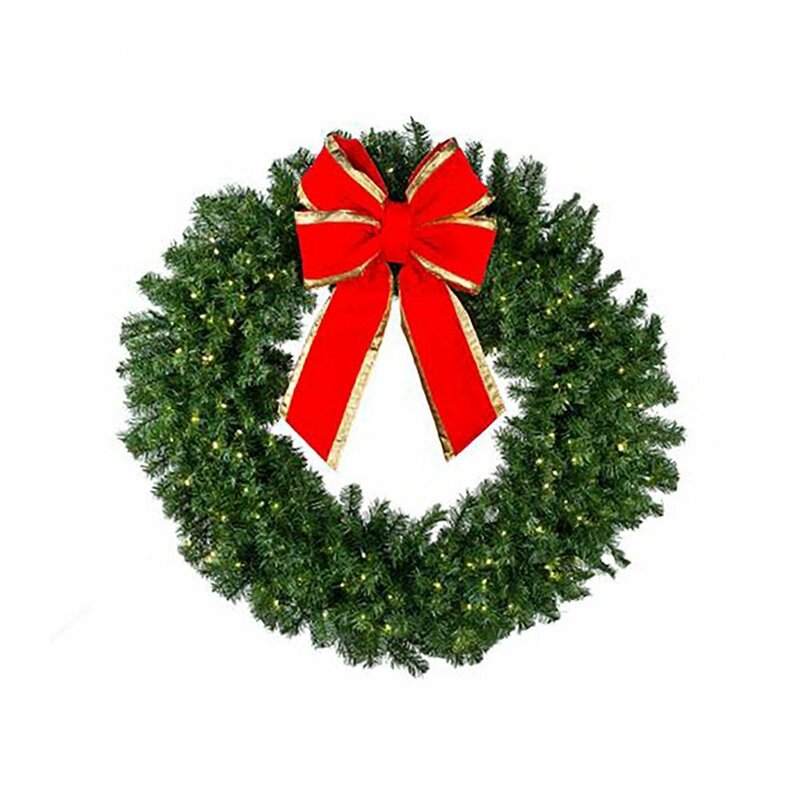 Our commercial Christmas wreaths come in a wide variety of sizes, from 24” all the way up to 144”, and in a huge range of styles. Whether you’re looking for a minimal, classy unlit wreath or a massive, pre-decorated centerpiece adorned with baubles and lights, we’ve got you covered. 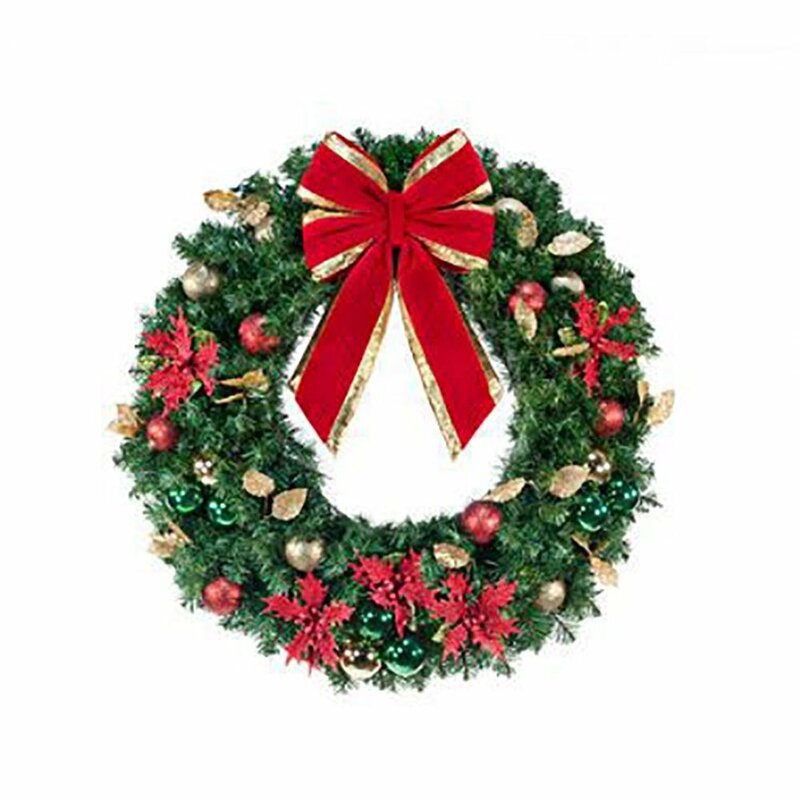 Whether you're looking to light up your home for the holidays or going all out and decorating an entire shopping center or city, commercial Christmas wreaths are designed to withstand the rigors of the holiday season and will last far longer than lower quality retail grade wreaths found at your local retail store. All of our Christmas wreaths are built to last for season after season, with thick, lush foliage to provide that hint of sophistication you need to elevate your space. Just ensure that the desired hanging location is a little bigger than the diameter of Christmas wreath you’re purchasing, and you’re good to go!